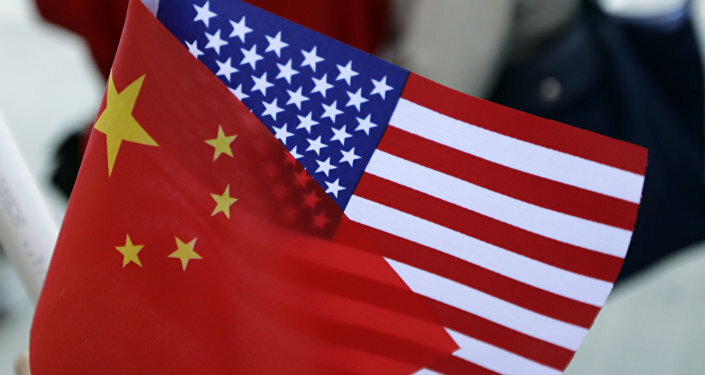 BEIJING (Sputnik) – About half of the companies that will be affected by US import tariffs on China are foreign ones, not Chinese, China's Commerce Ministry spokesman Gao Feng said on Thursday. "Now we are studying the impact that will be exerted by the US tariffs on imports of Chinese goods worth $200 billion. According to preliminary data, the tariffs will affect consumer industry goods, as well as textile, medical and electromechanic goods. Half of the companies [affected by US tariffs] will be with foreign capital," Gao said at a press briefing. The spokesman pointed out that US trade protectionism posed a threat not only to companies and customers of both countries, but also to the security of global supply chains. "Currently, the Chinese government is studying the measures aimed at supporting Chinese and foreign companies that may face difficulties," Gao added. The International Monetary Fund (IMF) predicts that further escalation of a trade spat between the United States and China will have negative consequences for both countries, as well as the global economy, the fund’s spokesperson Gerry Rice said on Thursday. “Should the escalation go further, the economic costs for both countries and around the world will quickly rise,” Rice told reporters during a press briefing. Trump said on Monday that the United States would impose new 10 percent tariffs on $200 billion of Chinese goods that will take effect on September 24. On January 1, the tariffs are expected to grow to 25 percent.